Update, 1/10/18: As predicted below, JetBlue has once again extended Mosaic status for people who got matched status through 1/31/18! Update, 8/14/17: Today is the final day to take advantage of this offer! Related: Read more about status matches for other airlines in this post. This offer is valid for matching until 8/14/17. I took advantage of JetBlue’s status match program last summer. JetBlue promised that the Mosaic status would last until the end of 2016 but it actually lasted until 1/31/17. The benefits are great. You and your companions get 2 free checked bags, free even more speed checkin and security access, early boarding, 3 additional points per dollar spent, free alcoholic beverages onboard, and a dedicated Mosaic 24/7 customer service line. But best of all you can cancel your paid and award flights without penalties. Plus you can make same day confirmed flight changes for free, so you can buy a flight for an inexpensive time and then switch to a more expensive flight that departs on the same day of your flight without paying anything. You can make that change for free starting 24 hours before your originally purchased flight. Mosaic members also get heavily discounted upgrades when they redeem points, a 200 point rebate for extra space upgrades, and they can request free upgrades at the airport. I’ve even gotten the 200 point rebate when getting the extra space seat for free at the airport! Virgin America Silver/Gold to Mosaic. Status officially lasts until 12/31/17, though it likely will last until 1/31/18 as it did last year. If you earn 3,750 base TrueBlue points from flying JetBlue within 90 days of enrollment then you status will last until 12/31/18 (or 1/31/19). Don’t have any status to match? 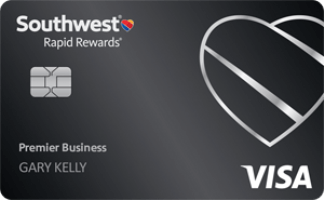 If you spend $50K on the JetBlue Plus Card you will also earn Mosaic status for the remainder of the year, plus the following year. When you earn it from the card you also earn 15K bonus points. A free checked bag for the cardholder and up to 3 passengers on the same reservation. That’s a value of up to $200 in waived checked bag fees per round-trip. 10% points rebate every time you redeem your points. 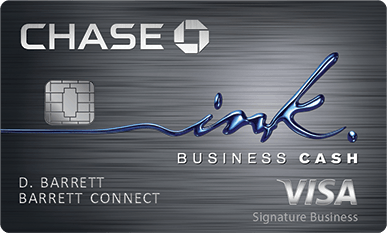 The rebate will post within 1 business day of using points. 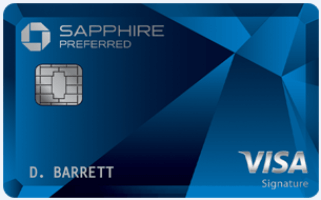 That effectively makes your points about 10% more valuable and bumps up the signup bonus value of the card to about $500 of flights. 5,000 points upon every card anniversary. Combined with the 10% rebate that’s 5,500 points that are worth about $83 towards JetBlue flights. That drops the effective annual fee from $99 down to just $16. $100 annual statement credit when you book a $100+ JetBlue vacation package. 2 points per dollar on groceries and restaurants and 6 points per dollar on JetBlue purchases on top of the 3-11 points per dollar that you earn for the flight itself, which makes for a very nice rebate on JetBlue flights. 50% rebate for in-flight purchases of cocktails, food, JetBlue movies and other eligible purchases. No foreign transaction fees.Best of all, JetBlue points never expire and JetBlue also allows families to pool their points together! 62 Comments On "JetBlue Matched Mosaic Status Expiration Extended Until The End Of January"
I signed up for the Jetblue Plus Business so it won’t count towards the Chase 5/24. Not sure why no one ever mentions the business card for that reason…has same benefits as consumer card. Very tough to get approved for, but also a good card. If you have consumer+business cards you should also be able to get 20% back on your awards! If you did this last year will it work again? Can’t hurt to try and find out. Can i do this again if I did this last summer? How does the process work if I have status with any other airline ? I have to call them or I can do it online? Follow the link in the post. Anyway to get upgrade to even more space for free? With mosaic status that is? Yes, just ask at the gate. YMMV. In advance Mosaic get discounted upgrades when using points. To clarify, the discounted upgrades are very good… an ex. might be 500 points instead of $50. At the airport, day of flight, the comp upgrades are always given when there’s only extra space seats left for checkin (even if you already have a regular seat)… and usually given, if asked, and there are still regular seats, not always. What will Southwest CP match too? JetBlue only has 1 level. Are you saying if you fly JB within the first 90 days of enrolling you earn 3,750 Trueblue base points or you need to fly and earn 3,750 base points to qualify for an extension of status until 12/31/18? That’s to earn the 2018 extension. Does this mean that they will match any of the above statuses to mosaic? Can i status match from any hotel status to airline status to get this? SPG Platinum gets United Silver which would qualify you for the match. Any way to get this status match if I have SPG Gold status? Not until JetBlue opens a hotel chain. Andddd the Jetblue matching page is down. Dan: Is it easier to get the high status on the other airlines than Jetblue? Once I’m matched to Mosaic, any ideas for more status matches from Mosaic to other programs? @Dan: Regarding the same-day confirmed changes, will they allow me to switch from a flight departing JFK to one departing LGA, or vice versa? Are to you sure? Dan seems to imply above that within 24 hrs of a flight you can change it to any other flight for that route. NOT ACCURATE. As Agoldsc1 suggests, within 24 hrs of your flight, you can make same day changes to your flight for the same markets at no charge. Of course, you’d be correct if the markets changed… but then it would be more of a CANCEL (no penalty) and replace situation. Yes, they treat all NYC airports as one market…. same as they do other cities considered the same market such as Boston Area, Southern Florida, etc. The JetBlue offer page does not state that Emirates status can be matched to Mosaic. Are you sure Emirates will work? @Dan: The way I calculate it, if I spend approximately $470.00 on Jetblue flights booked directly on the Jetblue Website using their Credit Card, then I would have earned over 3,750 points, because I would receive a total of 8 points per dollar (6 for booking on their site, and 2 from the credit card). Does that sound correct? And if I open a credit card and earn points that way, would those count towards the points needed to extend the status? Base flight TrueBlue points are the 3 points per $1 that TrueBlue members earn on the base fare of their individual JetBlue flight. JetBlue flights are flights operated by JetBlue and purchased with a JetBlue flight number. All other bonus points, partner points, booking bonuses or any other points will not count towards the 3,750 point requirement. Not unlikely, you are exactly correct. Forget bonuses, etc… need to spend and FLY $1,250 in base fares during the period. To clarify, just purchasing during the challenge pd. doesn’t count… you also need to fly. Dan, Do you this year’s status match will also last until 1/31 of 2018? I might want to book a flight for Jan 2018 using my JetBlue points but I would like the flexibility to cancel the flight. Also do you know how long before the flight you have to cancel to get your points/money back if you have Mosiac status? For the CHALLENGE, I see, “Base flight TrueBlue points are the 3 points per $1 that TrueBlue members earn on the base fare of their individual JetBlue flight. JetBlue flights are flights operated by JetBlue and purchased with a JetBlue flight number. “. My question is, if I make a reservation for 3 travelers (myself & my spouse) with a base fare of $331 pp, will I earn the 3 points/dollar based on just my fare of on the combined cost of the ticket for 3 travellers? Any idea if can get matched if my status is itself a promotional/challenge 90 status? Ie, if I have united silver 90 day challenge, will they match? Hi Dan: I cannot get them to do a match on a United GS. Any advice? 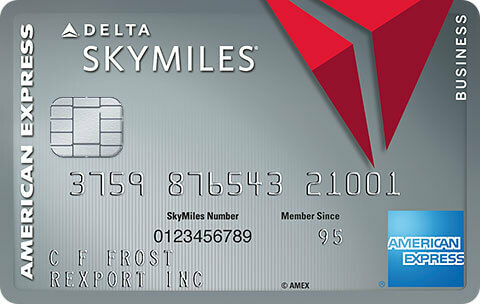 I have a delta card with 60,000 points with AMEX would i be able to get the match offer? I have Mosaic, can I be status matched with any other elite programs or only other programs gain access to mosaic? Should be able to match to Alaska and then from Alaska to Delta, from Delta to United, etc. Anyone else having this issue. I sent in my status match when this was first posted weeks ago. I called today to check if there was an update and the rep was all confused and she told me that I filled it out incorrectly and I left my first name out and telephone number out. The website asks for 3 things..Last name, EMAIL ADDRESS associated with the account, and an upload file showing my status on other airlines.. I dont know what shes talkin about..I just resubmitted through the link those 3 things again..Anyone else run into issues? Is your phone number saved in your TrueBlue account? 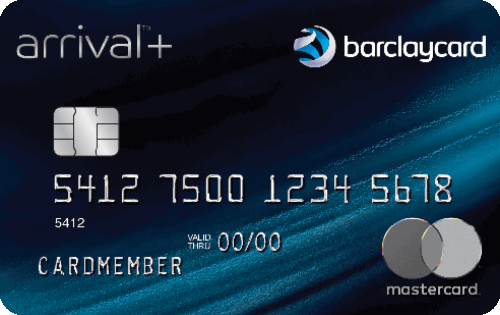 Will getting this card count against my credit score-is it like opening a new credit card? I had the same issue. 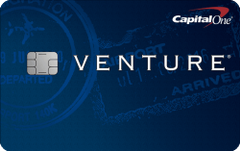 You need to send an email to trueblue@jetblue.com with a picture of the companion card and then they will match. I’ve had mosaic for the last 3 years for actually flying with them a lot. This past year I took a diff route and stopped flying jet blue. Can I use my delta silver that I got from mosaic match to get mosaic status match back again? And if yes. How many legs would I need to fly to maintain the match or is it good for the year. I just checked. i want to do status match from delta gold to get mosaic. Is says that the promotion is over through the link. any answer on what to do? I got the same message when I clicked on the link: “The TrueBlue promotion you are looking for has ended”. The match is long dead. If you did the match back when I posted this three times last year, the your status has been extended until 1/31.